Today, in modern time, design philosophy for interior design is more focuses on how space feel to be in how it looks. ”A good home to me may as well be the opposite to you. A home is personal, it is a collection of memories and the base for making new ones. A home is a dynamic and an ever-changing concept. 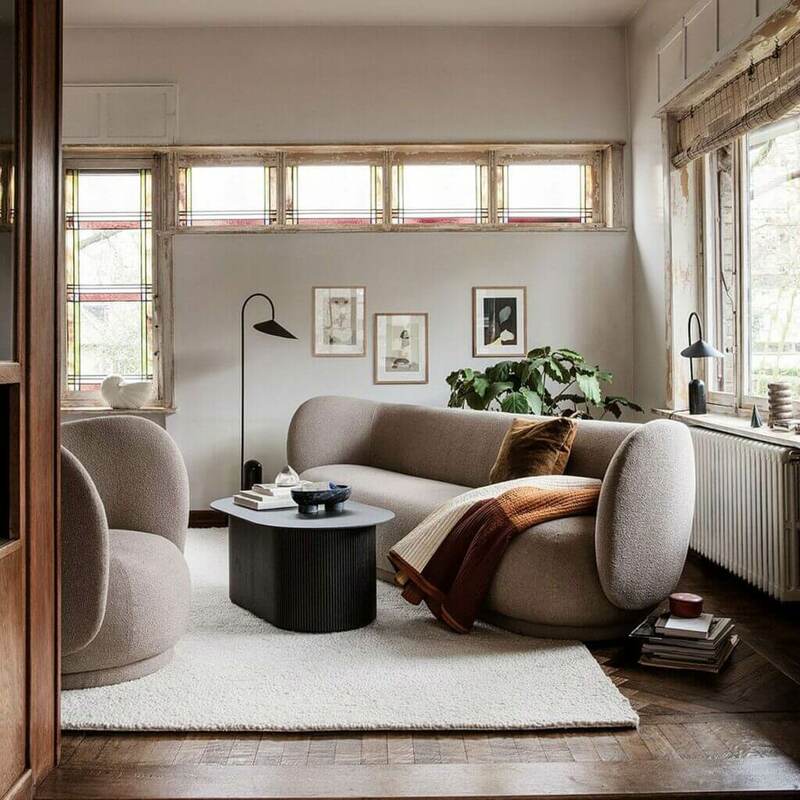 And exploring the journey of making a home is the focal point of our Spring/Summer 19 collection,” says Trine Andersen, founder and Creative Director of Ferm Living. First impressions are everything and the hallway sets the tone for the rest of the home. It helps create that feeling of coming home. The rattling of keys and the instant familiar feeling, letting you know that this is where you belong. 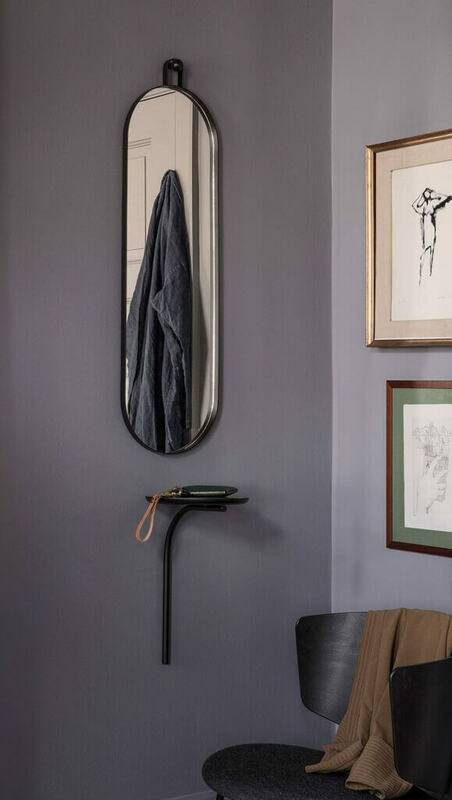 For Spring/Summer 2019, Ferm Living has introduced the Pujo Coat Stand, a sculptural piece in black with a minimalist silhouette. 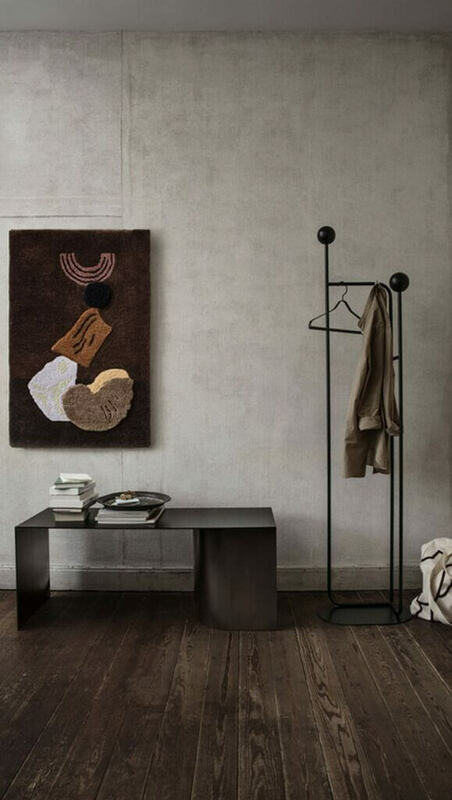 There’s a trend at the moment for furniture that blurs the lines between sculpture, art and design. The new Place Bench, made of blackened steel, was designed as a piece of art in its own right, using an unbalanced composition and geometrical components. 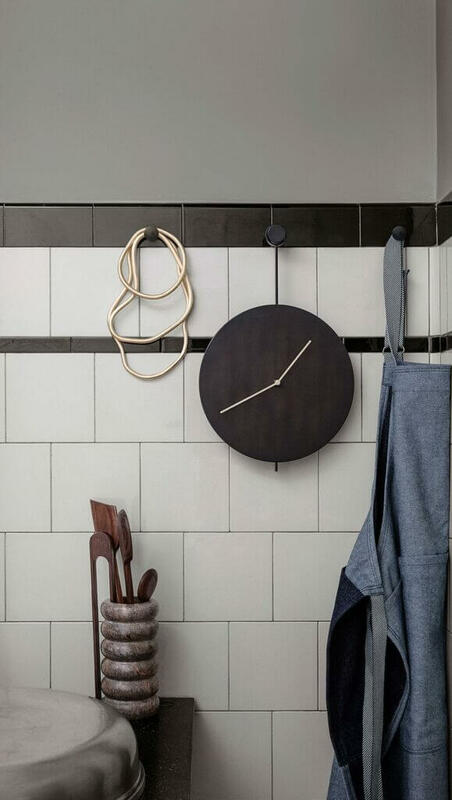 The Trace wall clock is simple and reduced to the bare essentials, with a browned steel face and two slender brass hands. The living room is perhaps where we can express our personalities the most, with treasured objects and favorite finds. After a long day at work we retreat to the comfortable space of our living room. And now it gets a sculptural update with the new Rico series consisting of a three- and four-seater sofa as well as an armchair. The sturdy frame contrasted by the classic bouclé fabric gives it a feminine and majestic-like expression. The designs look ready to embrace you with their elegant, comfortable shape. They’ve been upholstered in an uneven boucle fabric that adds texture and a retro quality to the series. In terms of lighting, the new Arum series should be noted. 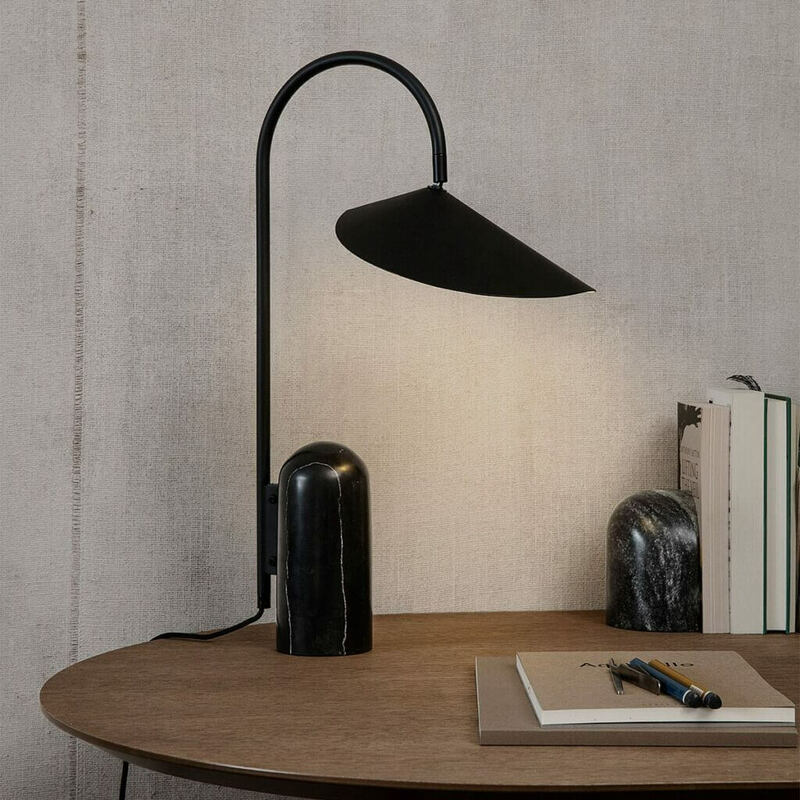 A quiet and elegant, timeless design, it’s made of a black marble base with a leaf-shaped lampshade. Inspired by Japanese minimalism, the new Distinct Side Table explores the creation of complex structures based on a single element. This rich acrylic stone table will stand out with its unique colours and textures. 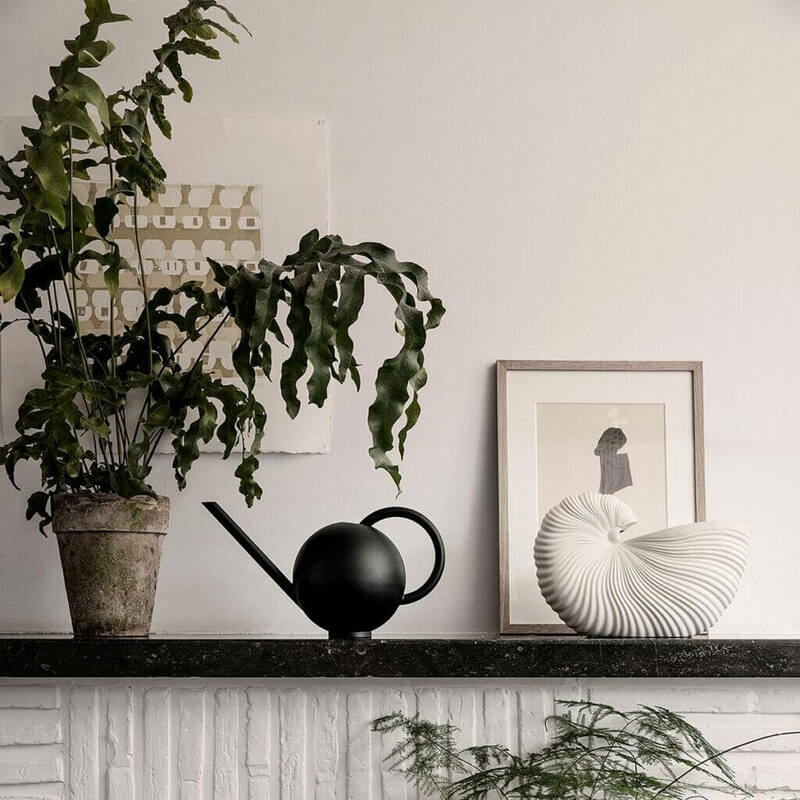 Personalise your home with unusual, quirky objects, such as the Shell Pot that gives the illusion of a one-off antique without going into the trouble of rummaging in a market and finding it. Heads up – swans and shells are in! The kitchen is the focal point of any home. A place of social gatherings, cooking, and family-evening rituals around the dinner table. A place to play, experiment, cook and entertain. 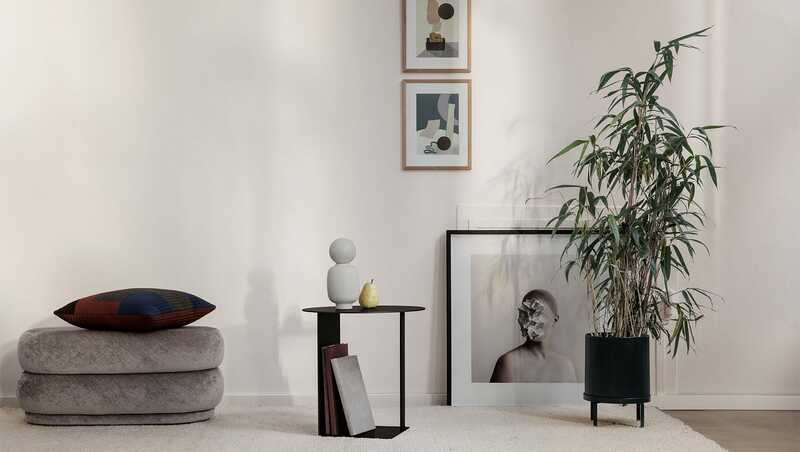 The Mingle table is strong, solid and sturdy, with bold, angled legs. Pair with the black pendants of the Collect lighting range. In terms of details, organically shaped brass Pond Trivets in brass is inspired by moving water. 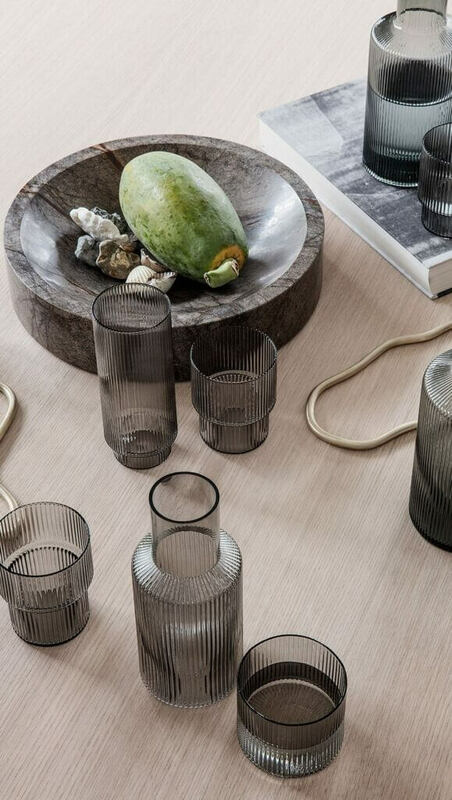 Award-winning, mouth-blown Ripple Glass Series of carafes, long drink glasses, drinking glasses and champagne saucers now also come in a smoked edition – an elegant partner for sparkling water or a nice glass of wine. 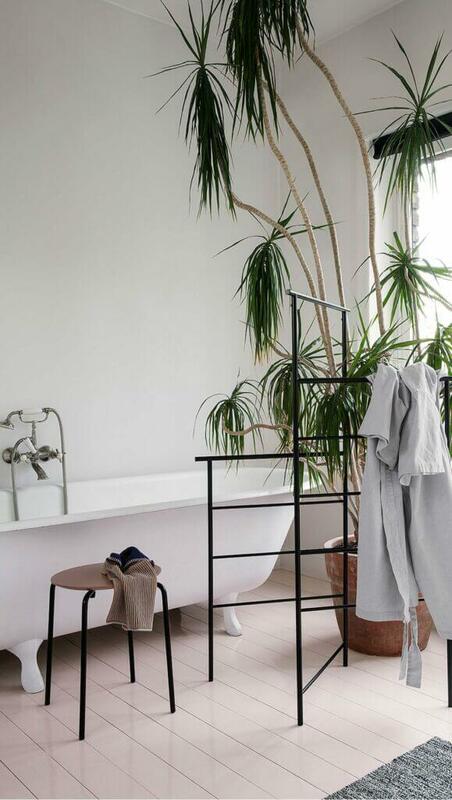 Greenery breathes life and light into a space, whether it’s a kitchen shelf, and urban balcony or a verdant garden. 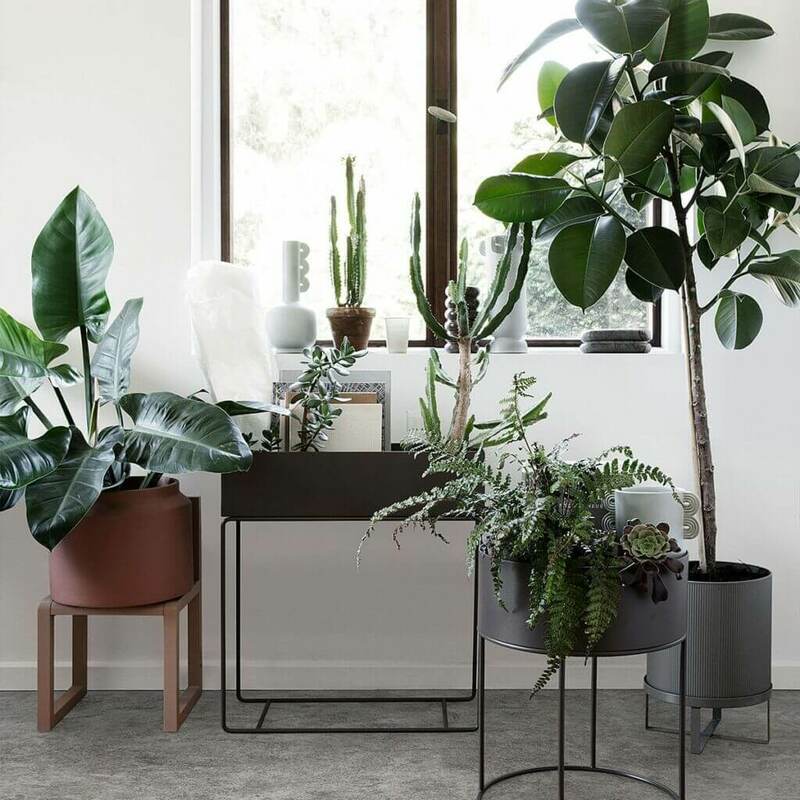 Plants are lovely in any room but now popular Plant Box becomes multifunctional. It features a Divider, Container and a Pot that will prove both practical and decorative in your office as well. 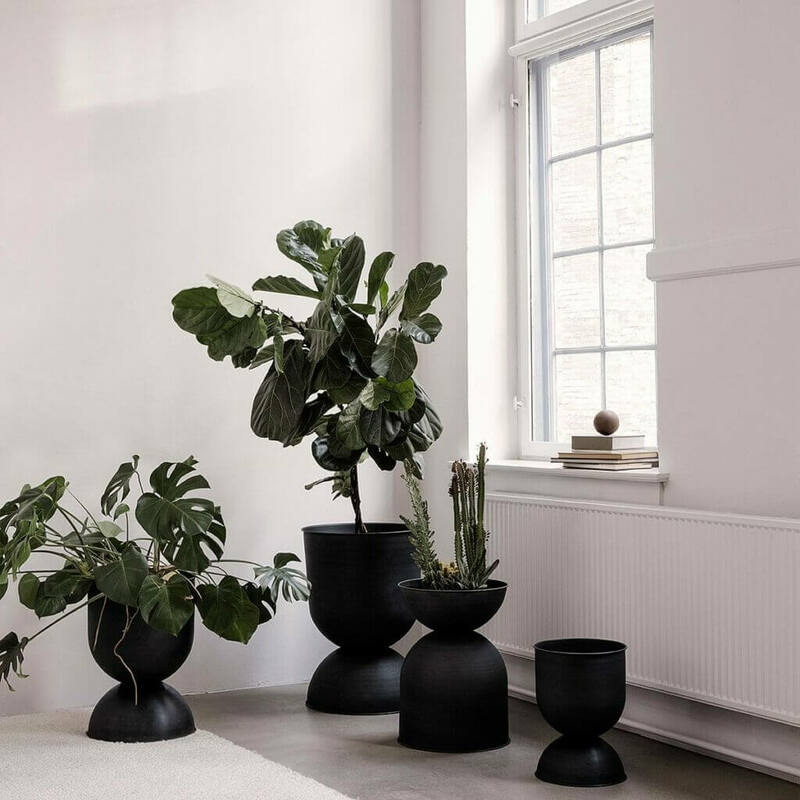 The Orb watering can in black has the look of a sculpture as well as a functional object to keep those plants alive. The new Hourglass Pot is a series of voluminous metal pots made of two upturned semi circles. Beautiful on its own or clustered together in a corner. Our bathroom is often an overlooked room. It’s connecting with your senses and create a sanctuary from the daily rush. Feel the soft textiles on your skin, evoke old memories with perfume your mother used to wear or treat yourself to a long bath. 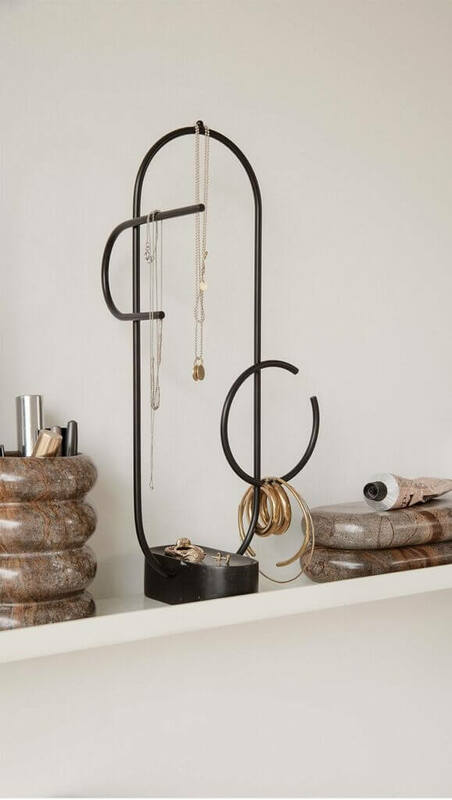 With Obu Jewellery Tree we have added an everyday sculptural item to our collection that beautifully decorates your bathroom. Its base of solid, black marble is carved to keep your favorite earrings and small gems safe, and its metal wire branches perfectly hold your favorite necklaces and bracelets. 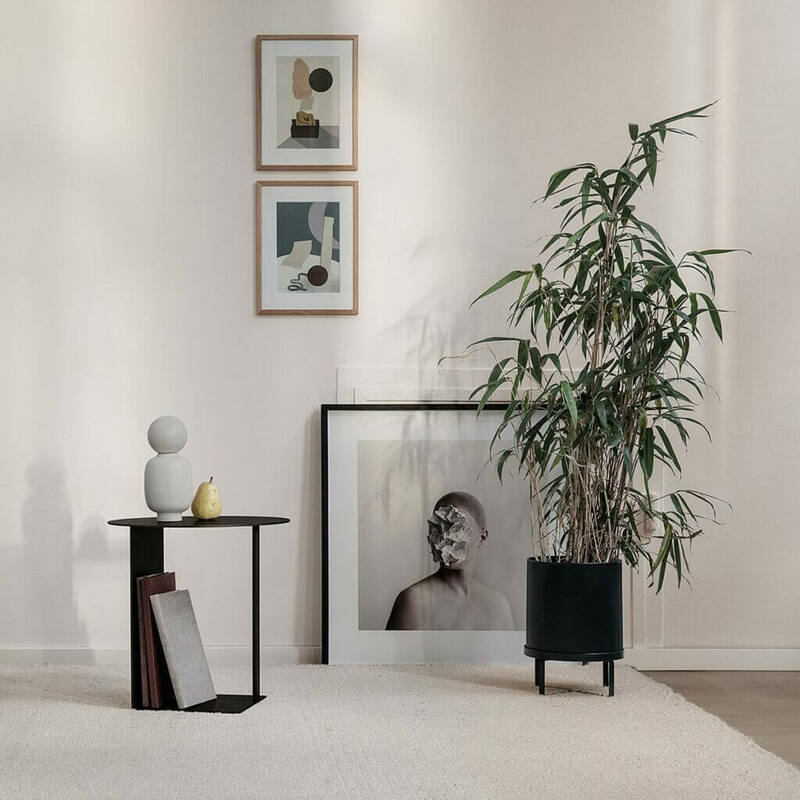 The new Ferm Living SS19 collection will be launched this spring and will be available at GIR Store in the end of March. Stay tuned!